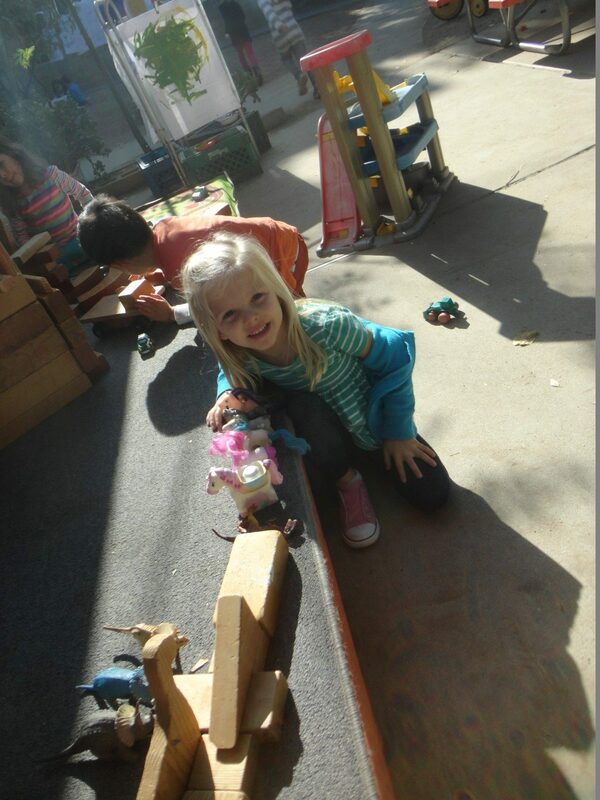 We recently built a block area for the lower yard to extend children’s block experience opportunities. 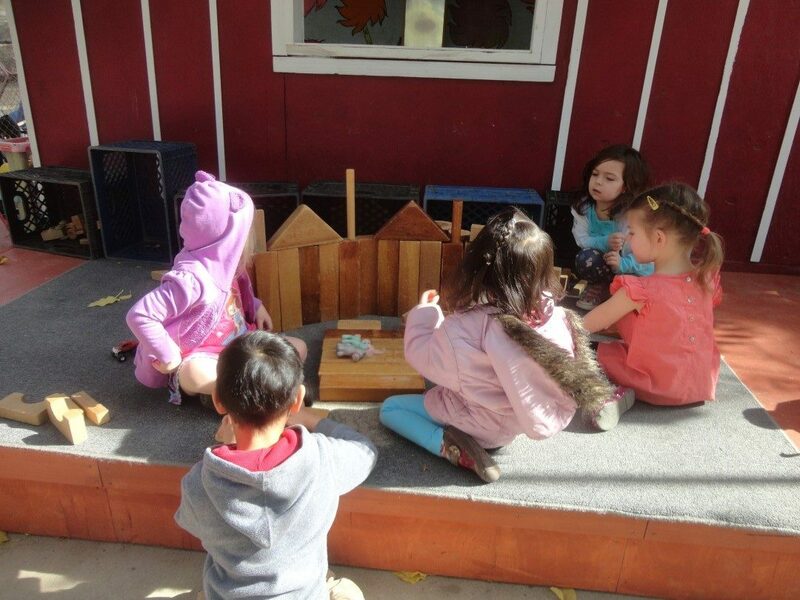 This is part of our strong commitment of having the outside environment to be a continuous learning environment for children. 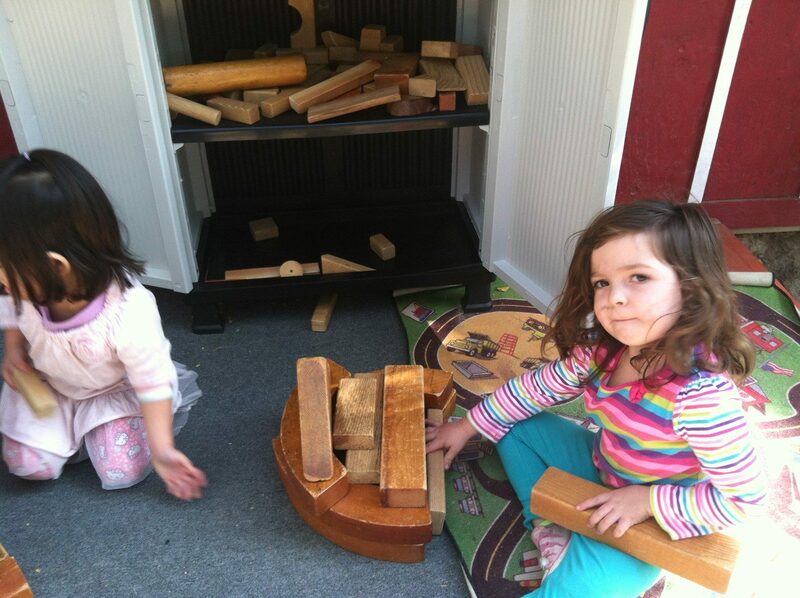 Through block play, children develop logic skills and begin to learn scientific concepts such as, cause and effect, gravity exploration and balance (stacking blocks until they fall). 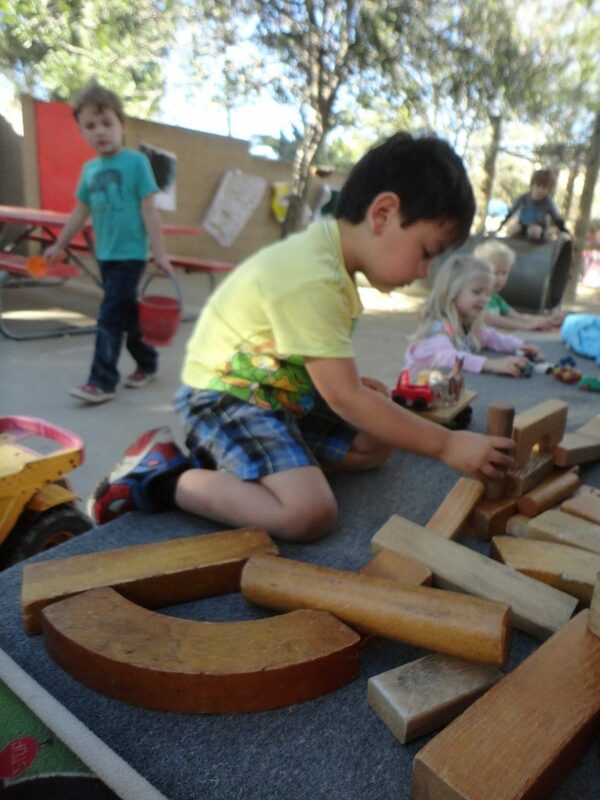 Not to forget, math concepts such as shapes, quantity, classification, and ordering. 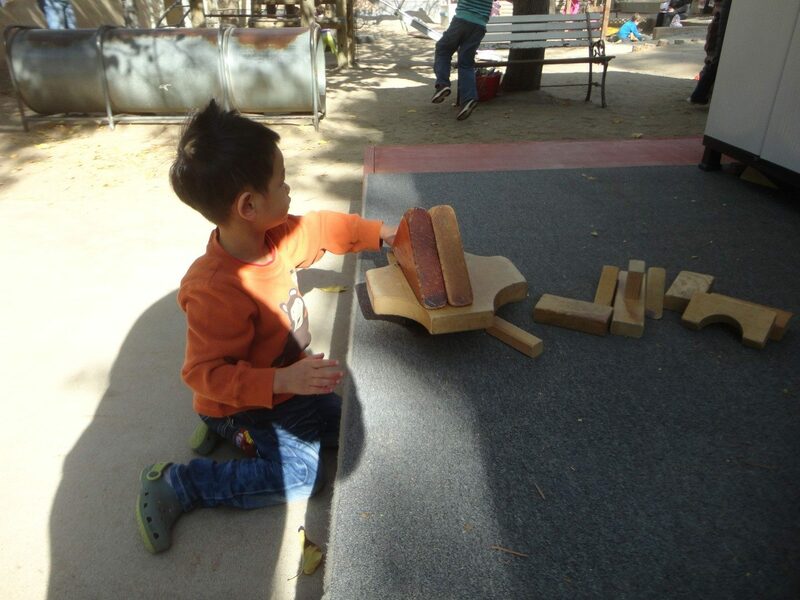 Children are also exposed to problem solving with one another as they manipulate blocks into the desired structures promoting social skills and language development.